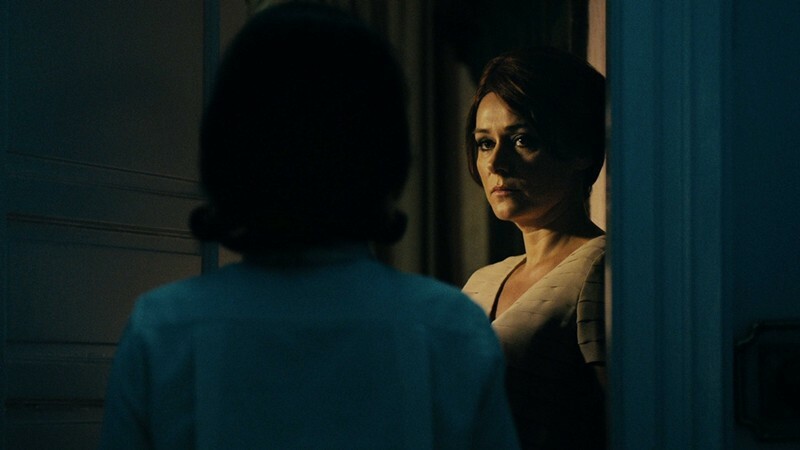 The Duke of Burgundy is a 2014 British drama film written and directed by Peter Strickland, and starring Sidse Babett Knudsen as Cynthia and Chiara D’Anna as Evelyn. Evelyn is studying lepidopterology under the older Cynthia, who frequently lectures on her studies. Evelyn is romantically involved with Cynthia and works as a maid in her home, where she is subject to strict behavioural expectations and high standards for cleanliness. When Evelyn does not complete tasks to Cynthia’s satisfaction, she is punished. As Cynthia increasingly falters in her dominance, it becomes apparent that Evelyn is orchestrating Cynthia’s role in the relationship by writing instructions and scripts for specific scenes, which the couple acts out in the same way each day. While Evelyn finds the scenes to be sexually exciting, Cynthia only acts them out to sate her lover. She attempts to please Evelyn by ordering a carpenter to construct a bed with a drawer underneath for Evelyn to sleep in as a punishment; however, Evelyn is unhappy with the length of time it will take to produce the bed, and ultimately refuses the gift. Evelyn begins to demand that Cynthia lock her in a trunk in the evening as a new punishment. Cynthia agrees, but she is resentful about the new physical separation. Cynthia also becomes self-conscious about her aging, having injured her back moving the trunk to her bedside. She expresses her unhappiness on Evelyn’s birthday, when she demands that Evelyn bake her own birthday cake, which she eats while reclining with her feet resting on Evelyn’s face. Evelyn does not enjoy the scene and calls out her safeword, pinastri, which Cynthia ignores. The couple’s relationship becomes more strained as Evelyn’s expectations go unfulfilled. Finally, Cynthia accuses Evelyn of polishing another lecturer’s boots, which she considers to be an act of betrayal. The two eventually seem to make up, and Evelyn agrees to put less emphasis on her sexual needs.